Extra Life Tabletop Appreciation Weekend is upon us! Check out previews of the Sword Coast Adventurer’s Guide and tune in to the stream this weekend, starting 12 PM Pacific on Friday, October 2. This weekend is Extra Life Tabletop Appreciation Weekend. The D&D team, along with community members, will be playing 48 hours of Dungeons & Dragons to help raise money for treating kids at Children’s Miracle Network hospitals. Find a detailed schedule of participants here. We’ll be giving away different items to donors every hour during the stream, so tune in throughout the program to see what’s available. 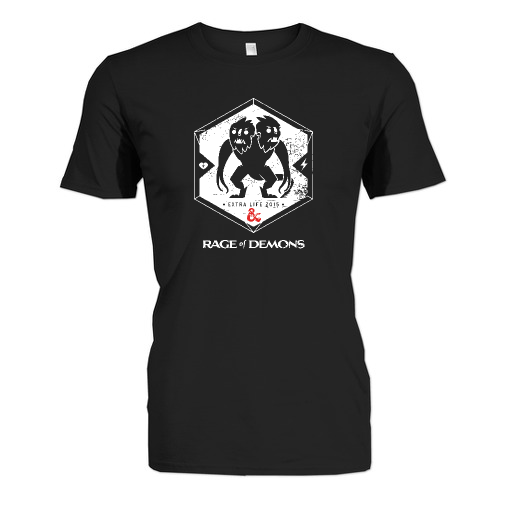 In addition, until October 5, anyone can purchase the exclusive D&D Extra Life Rage of Demons shirt. Part of the proceeds go directly to Children’s Miracle Network hospitals. As the team raises more money, they’ll unlock more previews of the Sword Coast Adventurer’s Guide. 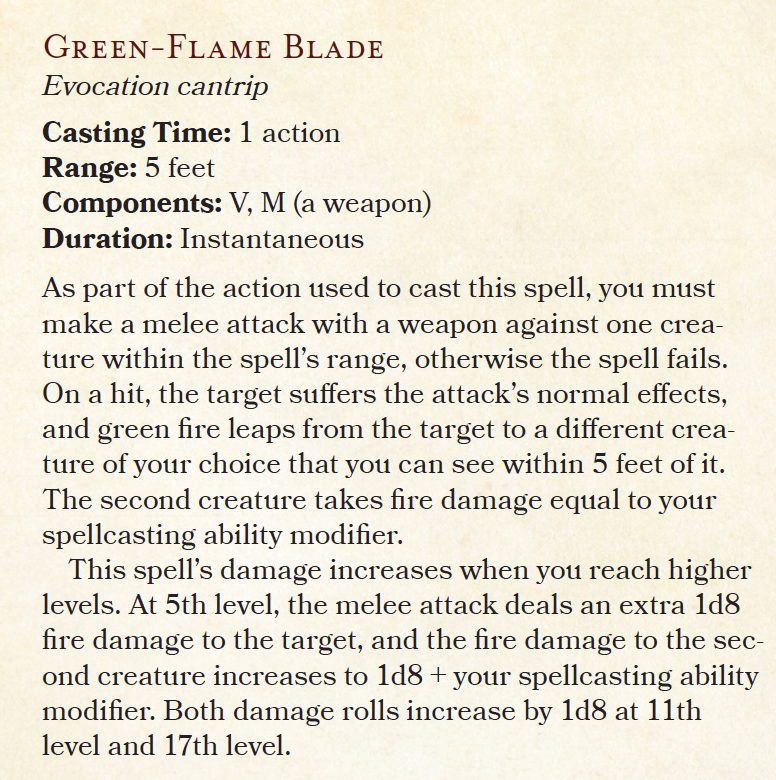 Keep up with their progress on the D&D Extra Life team page. Duergar race entry, including subrace traits. 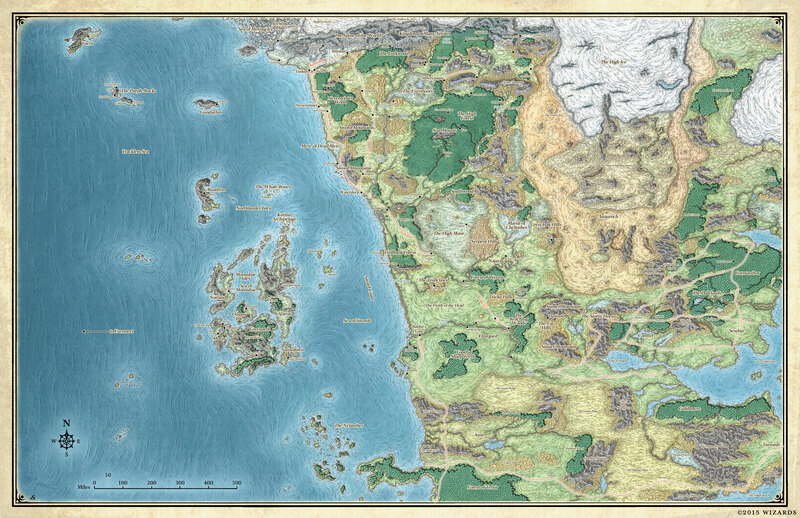 Full, updated, high res, labeled map of the northwest portion of Faerün, from Amn to Icewind Dale and the Moonshae Isles to the Dalelands. Contact @gregbilsland on Twitter for questions about the D&D Extra Life event or visit the Extra Life Tabletop Appreciation Weekend page to find out more.